We go through our childhood dealing with teeth coming in and falling out, so much so that each tooth lost is a rite of passage in a way. Wisdom teeth come in generally around late-teens/early adulthood; however, this can be different for every individual depending on many different factors. In fact, some individuals don’t have wisdom teeth at all! 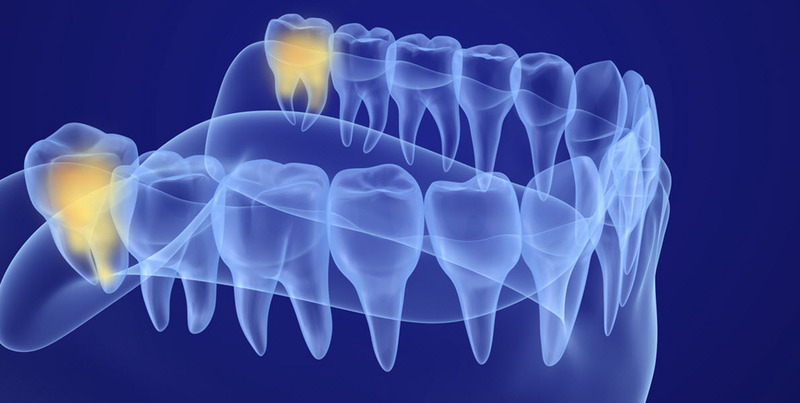 Many individuals don’t know they have wisdom teeth until they start coming in, which can be rather painful. If you do have wisdom teeth, it is important to pay attention to any signs of them coming in, which usually involves pain near the back corners of your mouth on the top and/or bottom. When wisdom teeth emerge, complications can arise for some; therefore, it is important to schedule an appointment with a dentist to act preventively. In this article, we’ll discuss some of the complications that wisdom teeth emerging can present. When wisdom teeth come in, or any teeth for that matter, it is normal to experience a degree of pain. This is usually what brings individuals to the dentist in the first place. The discomfort that people feel when wisdom teeth come in ranges greatly, and it’s important to make sure you contact your family dentist to ensure that you have a plan for how to remedy the situation. The process usually involves extraction, but for some this may not be necessarily the best course of action. Wisdom teeth cause a shock to the body in a small way and can cause a cyst to develop in the area where the tooth is emerging, or beneath the surface of the gum line. This can be problematic for a number of reasons, and usually it’s best to treat the situation with immediacy. If a cyst develops in the area, you may feel more discomfort or pain. Wisdom teeth might come in straight, assuming there is enough room for the tooth to emerge through the gums. 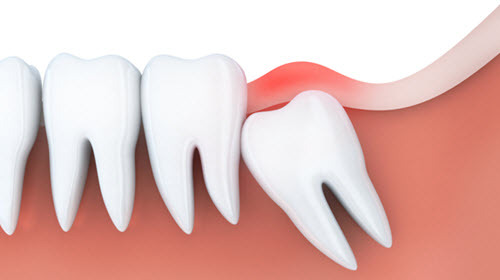 However, it is commonly the case that there isn’t enough room for the wisdom tooth to come through and can cause damage to nearby teeth or the underlying bone. This creates the need for a slightly more complicated surgical procedure upon removal but is quite common. Many people assume that because their wisdom teeth are going to be removed that they do not need to care for the teeth as they would their other teeth. This is simply not the case; your wisdom teeth can decay like other teeth, and it’s important to make sure you brush the area and keep it clean daily. If you are having them removed, it is especially important to use mouth wash and clean the area to prevent infection and other complications. Gum disease and/or infections are one of the more prominent complications associated with wisdom teeth emersion and removal. Not keeping the area clean can cause your gums to become infected, or small particles of food and debris can become lodged in the area that the teeth are emerging from. It is important to consult with your dentist to ensure that you are taking the best care of your teeth as possible. This can help prevent gum disease or infections from occurring. Here at the Dental Group of Simi Valley, our dental professionals have been helping individuals address issues with wisdom teeth for years. If you’ve recently begun to experience issues with your wisdom teeth, it is important to schedule an appointment with a dentist as soon as possible. Please feel free to call our professionals here directly to ask questions or schedule an appointment.